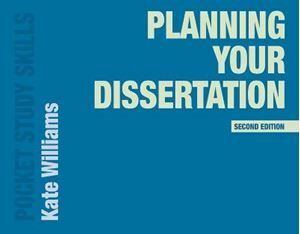 This essential guide takes students through the planning for each stage of their dissertation, from hatching an idea to handing in their finished project. Short, succinct chapters cover everything from devising a research question and engaging with the literature to choosing a methodology and structuring an argument. It features ten sample dissertations from a range of subject areas, so that students can better anticipate what lies ahead, practical advice at every step and action plans to keep students on track. This book is the ideal companion to all students completing a dissertation as part of their undergraduate or postgraduate studies, whatever their subject area.